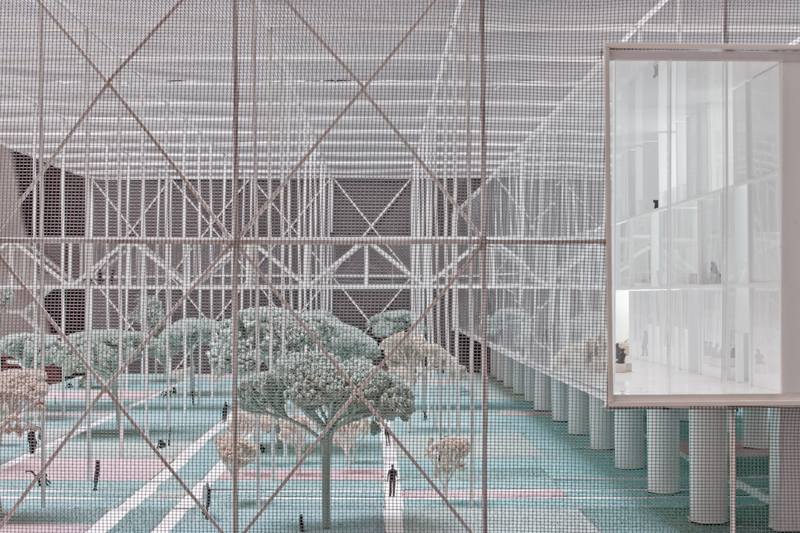 The new Bauhaus Museum is a large aviary, an interior space that includes the natural and artificial landscape of the city. 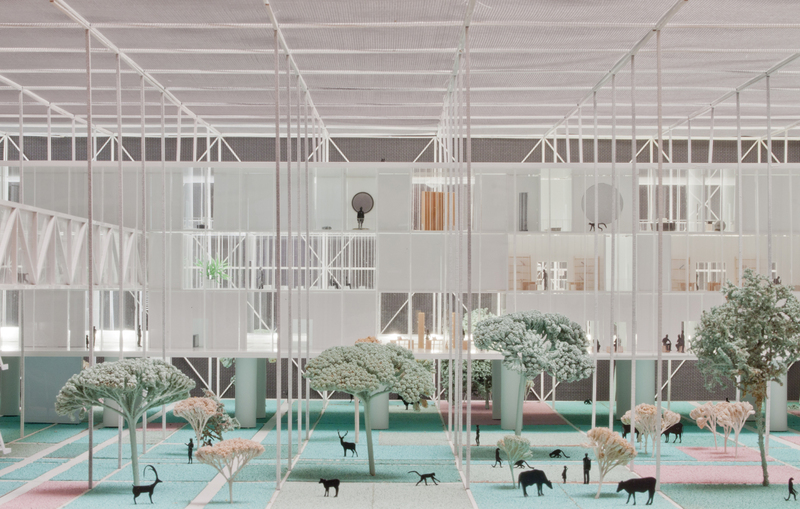 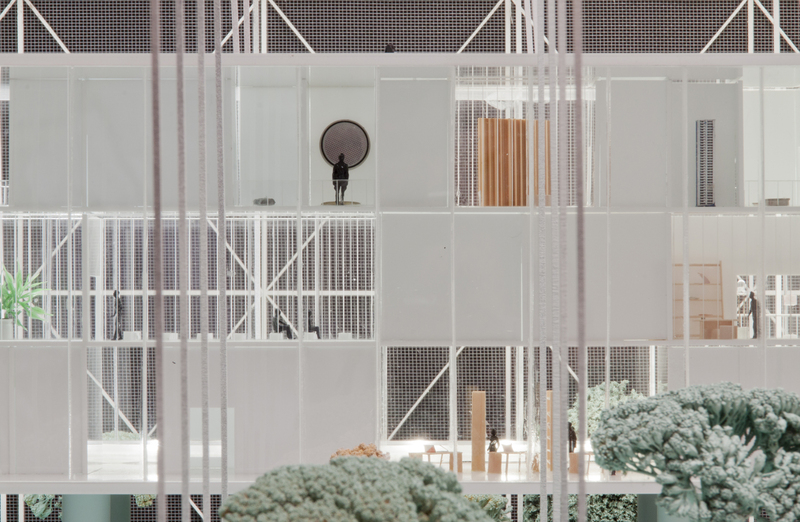 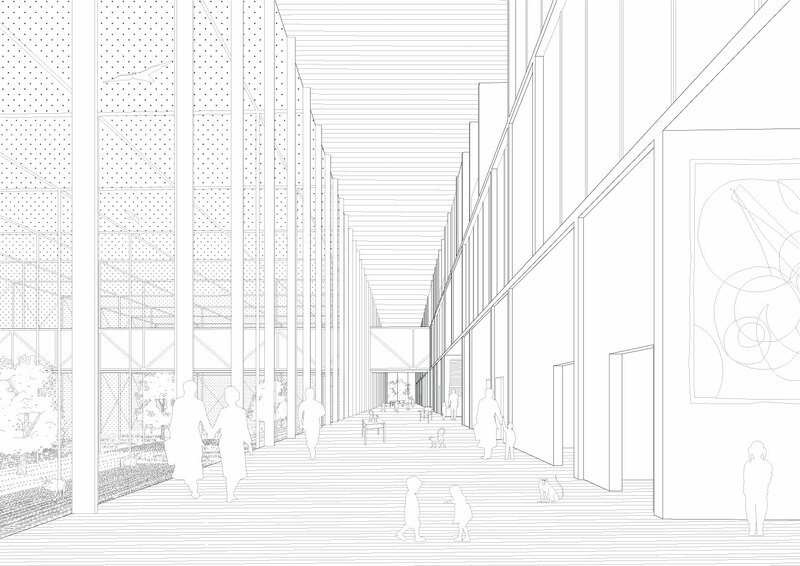 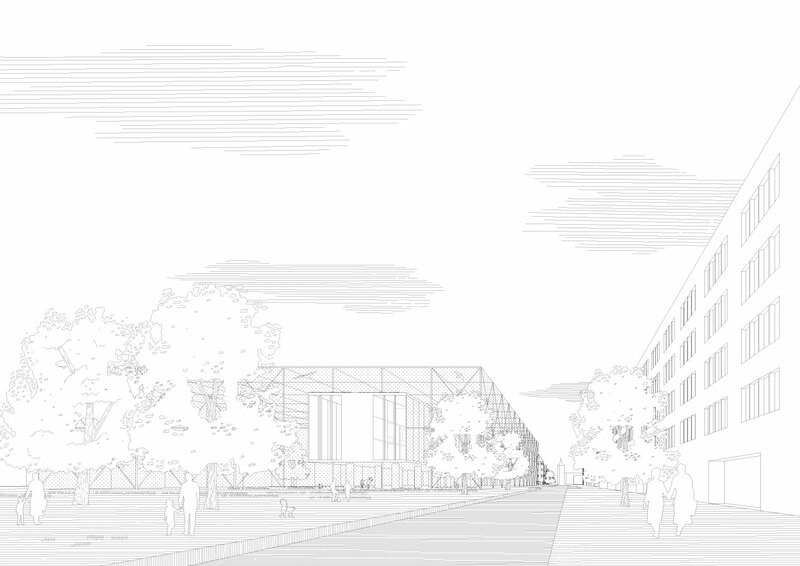 The ground floor is imagined as a portion of productive land on which the aviary operates as a complex three-dimensional device that organizes a synthesis between the human and animal universe; a planetary garden of biodiversity. 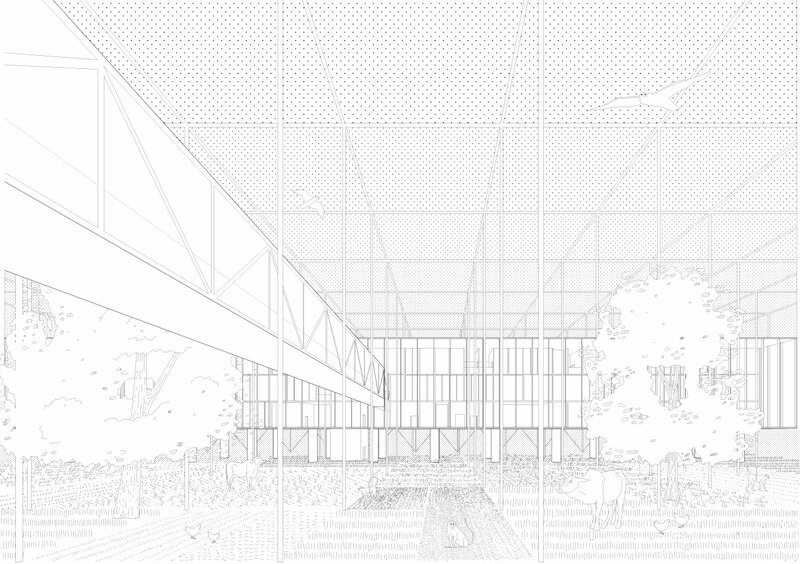 A glazed prism suspended over pilotis passes through the empty space of the aviary housing the museum spaces as a linear gallery. 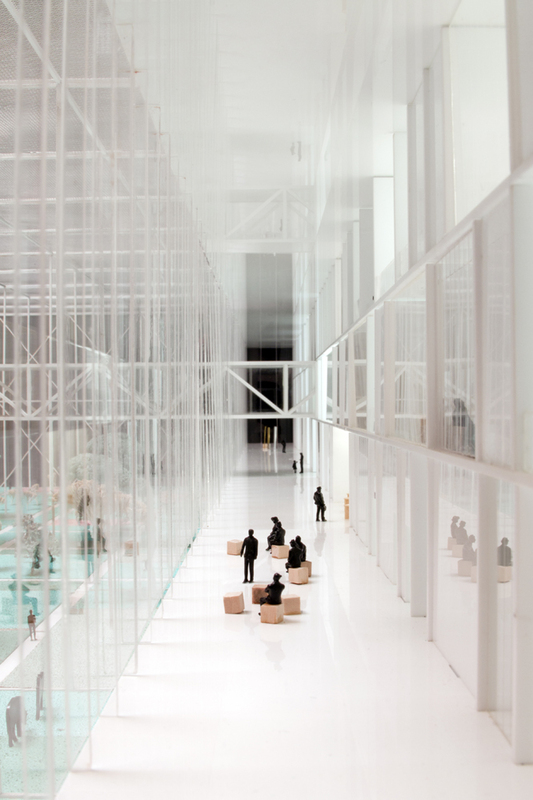 Its internal organization is articulated through a three levels vertical slab, which contains exhibition spaces, offices, services and all the activities of the museum like gigantic inhabitable shelving.